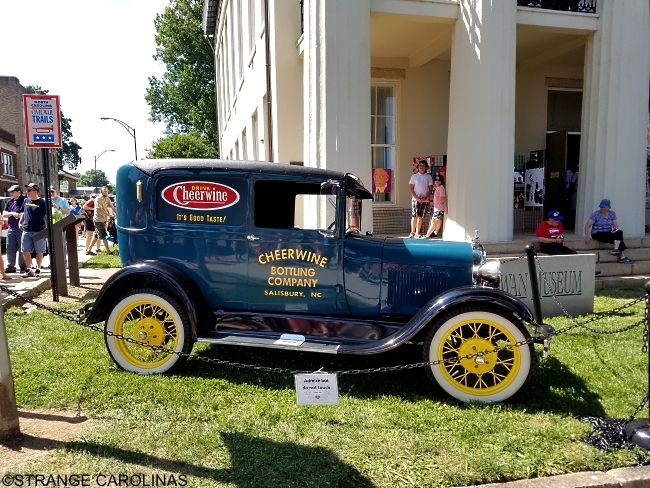 On May 20th, we attended the town of Salisbury's Cheerwine Centennial Celebration. 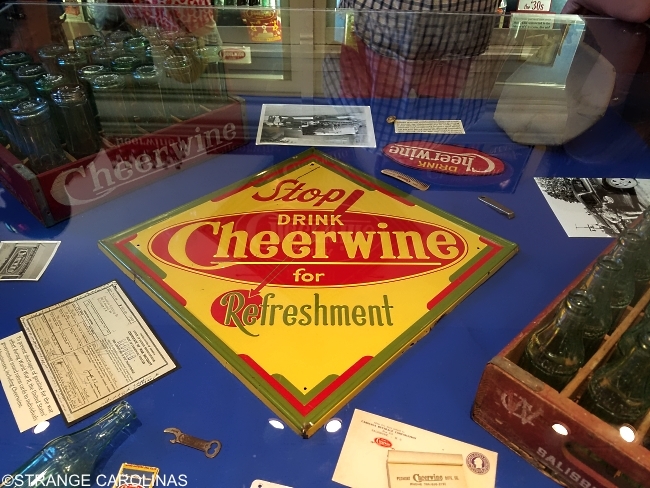 There were tons of activities and festivities going on that day, but by far the most interesting was the Cheerwine exhibit at the Rowan Museum. 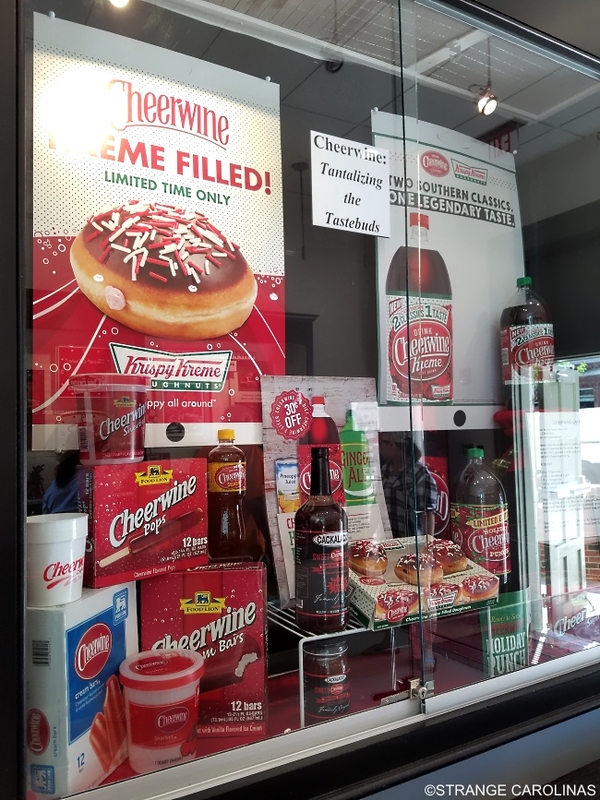 Visitors can see Cheerwine advertising, bottles and cans, and bottling equipment from the soda's 100-year history. 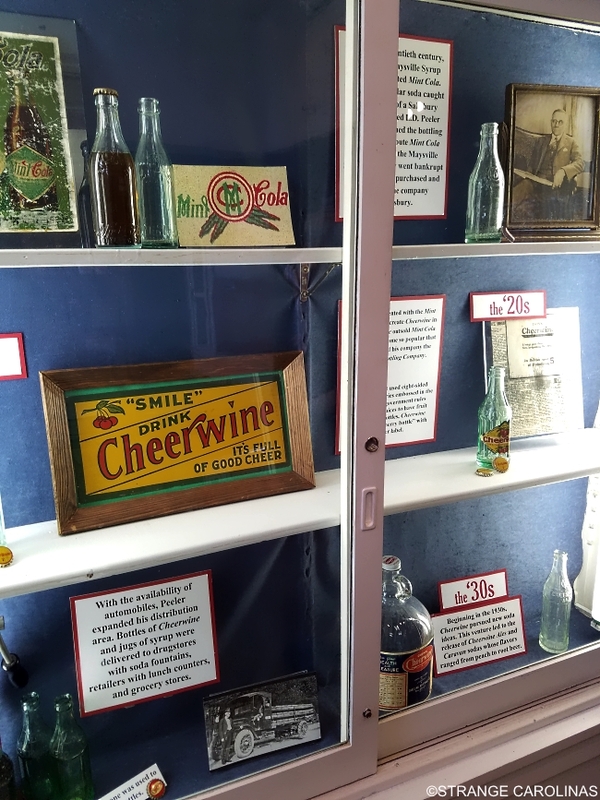 Most of the exhibit's items were lent to the museum by Cheerwine and a few pieces came from private collections. 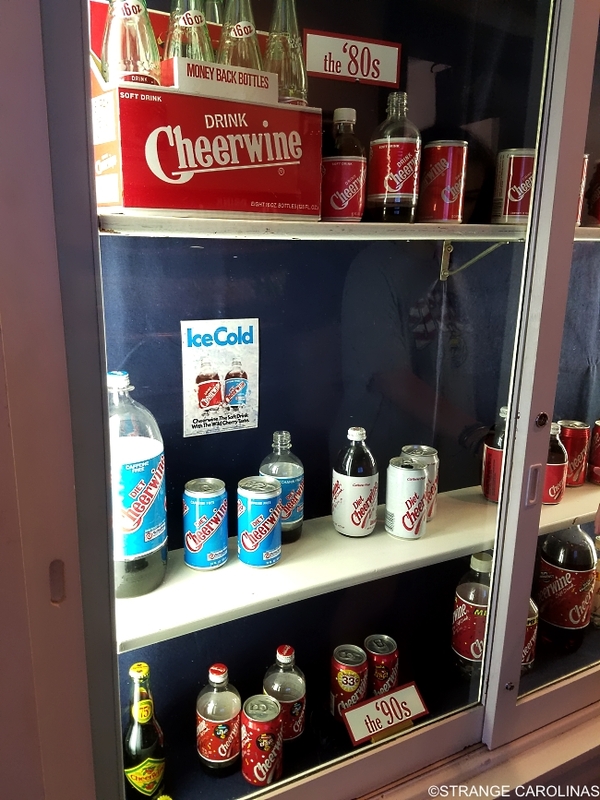 One of the most interesting parts of the Cheerwine exhibit is the section of the main room made up to look like a '60s diner that specializes in Cheerwine. 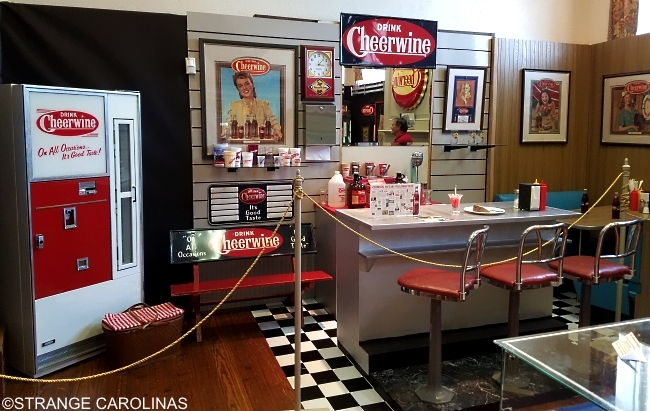 There's a soda fountain, chairs, counter, booth, and even an old Cheerwine drink machine. 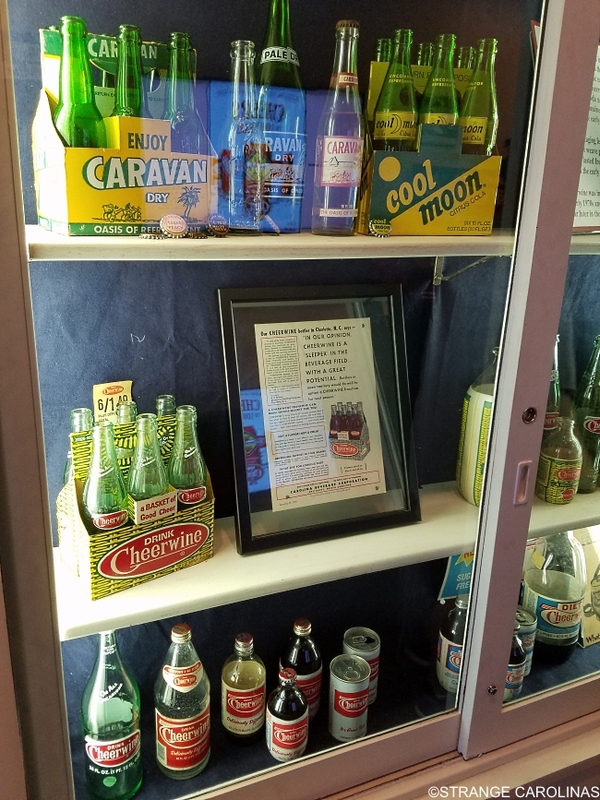 According to Aaron Kepley, the Executive Director of the Rowan Museum, the stools and the booth are from Salisbury's Woolworth diner, the site of a lunch counter sit-in that occurred fifteen days after four NC A&T students staged a sit-in at the Greensboro Woolworth. 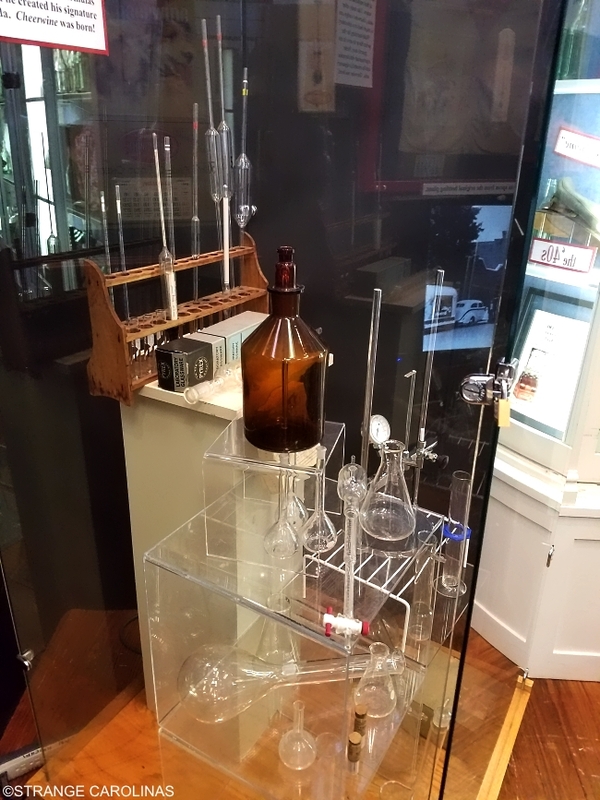 The booth is owned by the Rowan Museum and the stools were loaned to the museum by Raleigh's NC Museum of History. The counter was built for the exhibit to look like the one from the Salisbury Woolworth diner. The exhibit runs until December 15, 2017.